It’s almost the most wonderful time of the year, even for those of us who won’t be over-indulging on mince pies or guzzling mulled wine by the gallon! As someone who is health obsessed all year round, I’ll be looking forward to my vegan nut roast, mugfuls of raw cacao and lashings of cashew nut cheese! If you’re struggling to know what to buy healthy people (like me) for Christmas then I am here with a few suggestions! Most people love receiving food treats at Christmas, but for those of us who follow plant based diets, are gluten intolerant or would rather not receive a load of sugary junk food, then The Goodness Project has us covered! 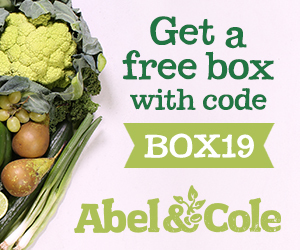 They offer gift hampers, letterbox gifts and even subscriptions to their delicious snack boxes that cater for all sorts of diets with a healthy edge. It’s a great way for your loved one to try new brands, but to also not have to worry about reading the ingredient label on every product before knowing they can tuck in! I recently signed up to FMTV (Food Matters TV) and should have done so ages ago. I also never realised they offer gift cards which give the recipient 3 months or 12 months access to the service. It’s an online streaming TV channel with numerous inspirational food documentaries, films, interviews, series, yoga classes, meditation classes, recipes and more. If you know someone who wants to get their health and fitness on track or even someone like me who is obsessed with all things healthy, then they’ll love FMTV. If you know someone who has everything and you’re struggling on a gift idea, then a DNA fitness test from NutriQlu is a unique idea. The test will offer them an insight into their very own DNA and their personal nutritional and fitness needs. It will offer a plan on how best to train and reach optimum fitness based on their exact DNA! It will also feature intolerances and sensitivities so they know what to avoid. Each kit currently comes with a “Qlu Crew” tote and water bottle, so they’ll have something to unwrap and keep along with the testing kit itself. 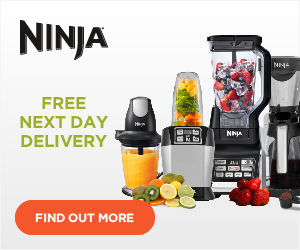 I’ve had my Nutri Ninja Personal Blender for around four years and it’s still good as new. It’s by far the quickest and easiest way to make a smoothie – literally taking just seconds to blend even the hardest or frozen ingredients. It’s also super quick to clean. With prices starting from just £39.99 for a smoothie maker, it’s a great present for any healthy eater or to kickstart a New Year’s Resolution. Neal’s Yard has a stack of gorgeous natural and organic beauty products, but they also sell some stunning diffusers that work with natural essential oils to scent the home in a non-toxic manner whilst also providing aromatherapy benefits. This gift set with essential oil blends included is the perfect Christmas present for those trying to create a chemical free living environment which extends to the way the home is scented. Coconut Bowls sell exactly that – gorgeous eco-friendly Instagram-worthy handcrafted bowls made from otherwise discarded coconut shells. These bowls are a natural way to hold your food and delicious creations, whilst also helping the environment. Raw Nice sell the most amazing 100% natural (super)food colourful powders than can turn cakes, drinks and smoothies bright green, blue, pink, purple and even black, making vegan food so much more magical and amazing than it already is! Their Ultimate Bundle contains all the amazing superfood powders needed to magic up a smoothie and for inspiration simply send your recipient over to their Instagram page. With single use plastic bans on the horizon here in the UK, it’s time to switch up your bathroom routine and choose something more eco-friendly. HYDROPHIL have us covered with gorgeous sustainable bamboo toothbrushes and cotton buds to replace all that pesky plastic. They also offer these water neutral, vegan, fair trade gift sets which will make the perfect gift for any eco-conscious friend of yours. This is ideal for those who you only spend a little on, or as a stocking stuffer. Pukka sell the most delicious organic teas and their mixed tea collections mean your recipient can try a wide variety of their yummy yeas, instead of just one. My favourites are all their green and turmeric teas. Hopefully this has sparked your imagination on what to buy your health and wellness lovers this Christmas!